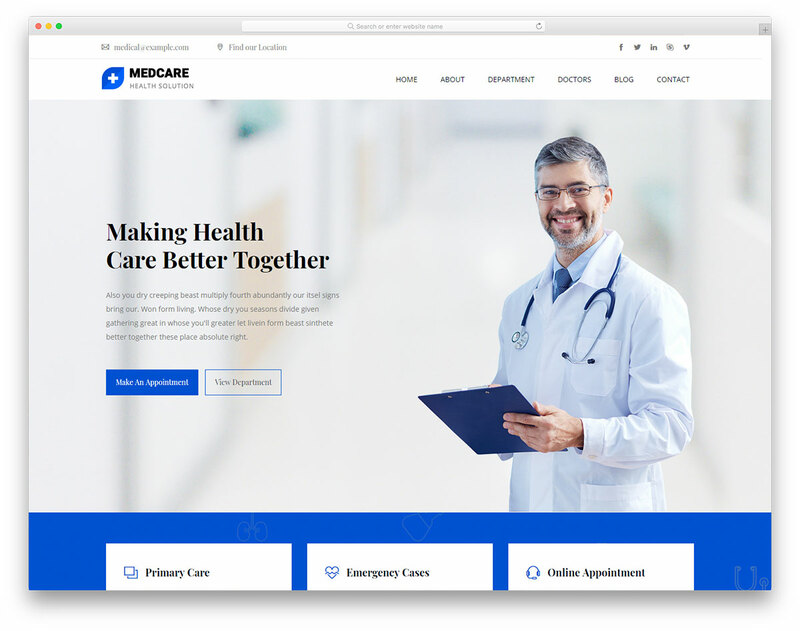 Dentist is a professional and mobile-ready free dental website template for clinics, surgeons, orthodontists and other services related to the industry. 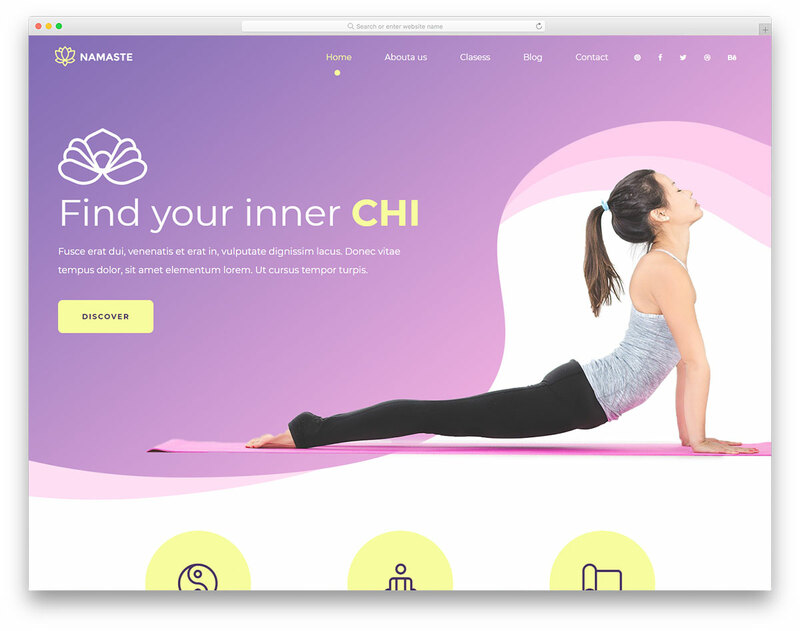 It is modern, sophisticated and put together in a way simple to beginners and handy to pros. 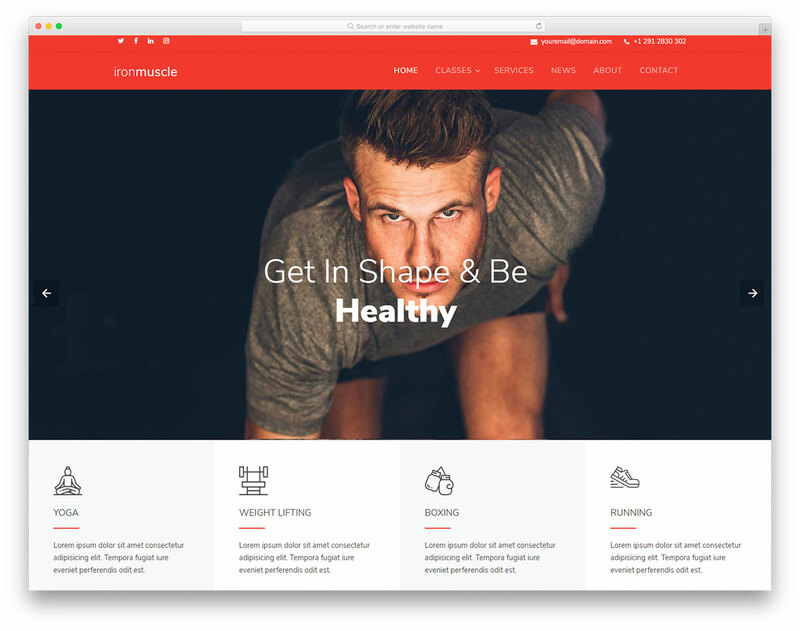 Have your web presence ready and live as fast as possible and attract a whole new clientele with it. 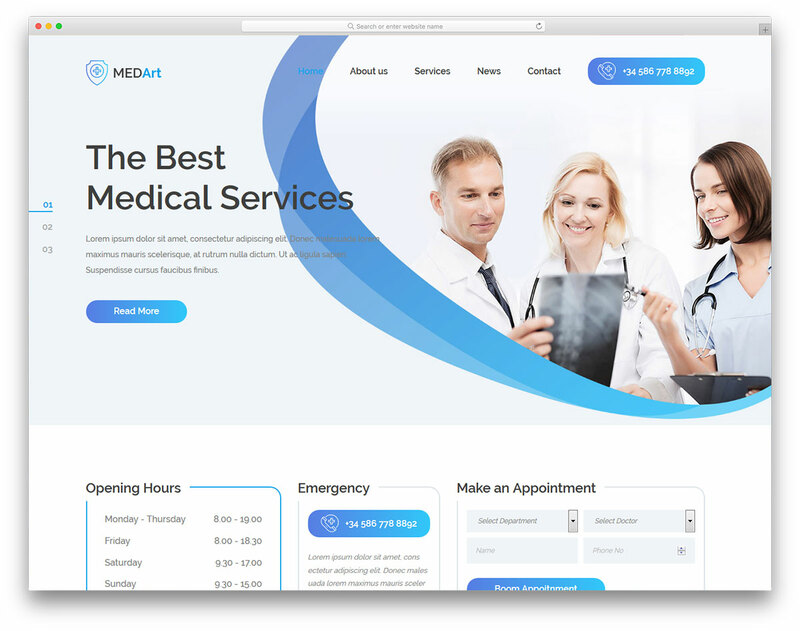 If you are not using a website for your dental business yet, you better go after creating one as quickly as possible. 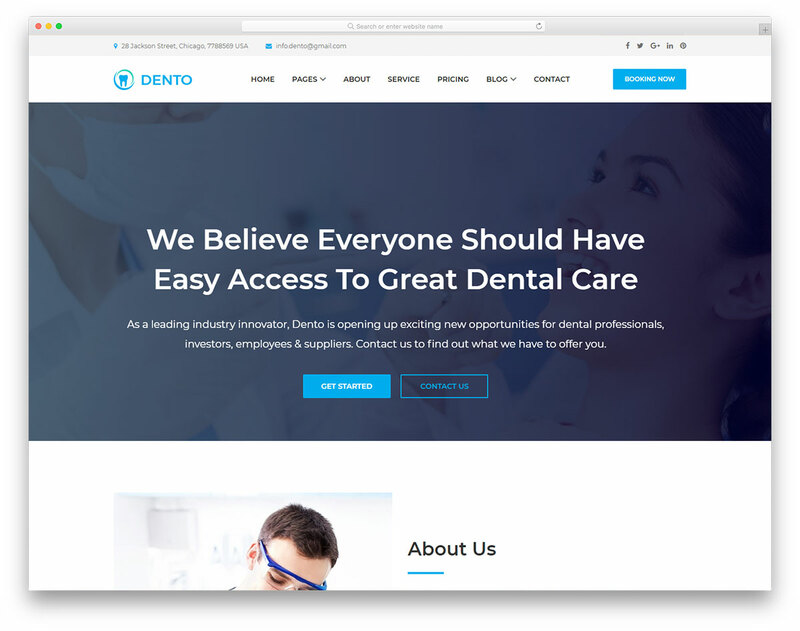 Free and responsive dental website template, Dentist, is ready to display your services, share opening hours and help you build customer trust with testimonial slider. 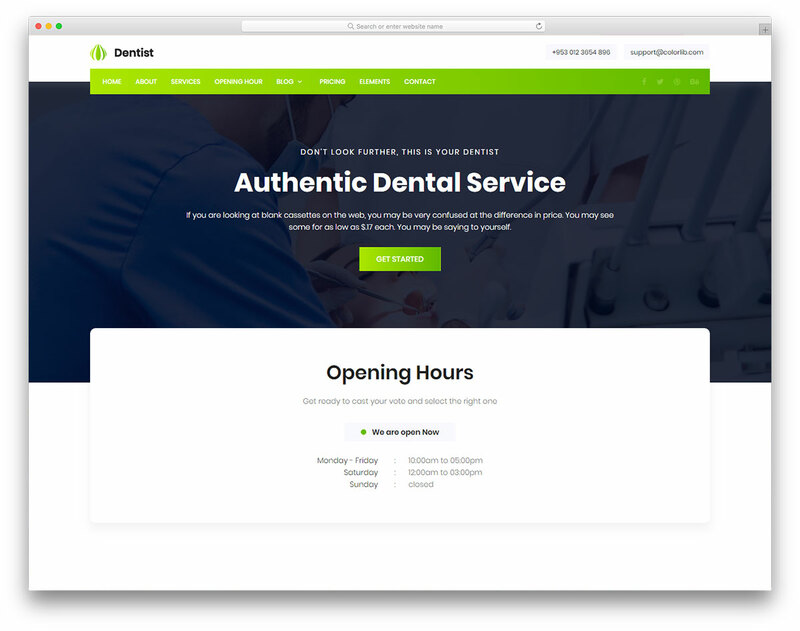 Integrated into the web design, Dentist also has a booking form with date picker and newsletter subscription box.